Great news! You don't need a good security guard resume! Anyone can get a security guard job. You know: sit in this car and watch that pile of dirt and three machines all night. For that job, all you need is a pulse. But you don't want that security guard job. You want a good one. One with full medical and dental, great hours, and plenty of vacation time. They don't give that job to just anyone. They give it to security guards who stand out from the pack. A security guard resume example better than 9 out of 10 other resumes. How to write a security guard resume that will land you more interviews. Tips and examples of how to put skills and achievements on a security guard resume. How to describe your experience on a resume for a security guard to get any job you want. Here's a sample resume for a security guard made with our fast online resume builder. 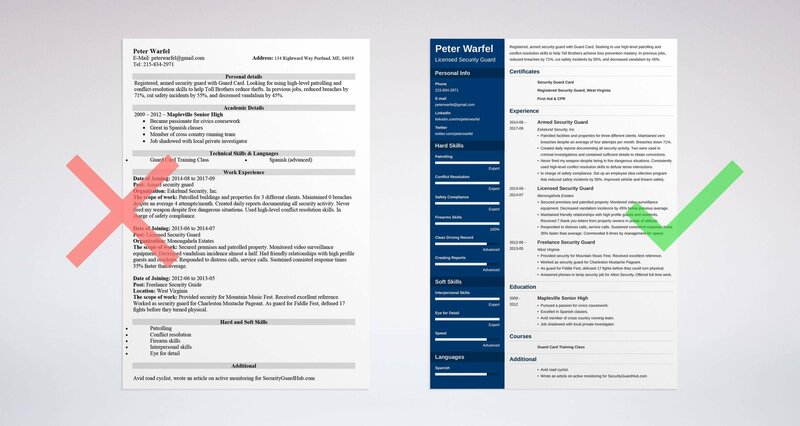 Security Guard Resume Example - See +20 resume templates and create your resume here. What's the Best Format for a Security Guard Resume? It belongs to Pete. He's the security director for a big healthcare firm. Near it sits a computer jammed with 300+ security guard resumes. Pete isn't reading all of them. To save time, he discards the resumes with poor formatting and lots of typos. Don't wind up in his reject pile. 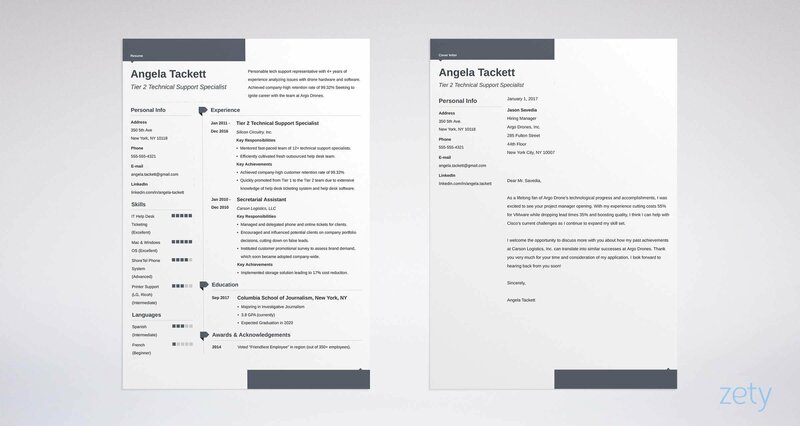 Pick a trusted resume format like the reverse-chronological layout. It puts your last job first. That saves Pete's time. Make good use of white space, clear headings, and legible fonts. They'll keep Pete from getting frustrated as he learns how you can help. Then, save your great security officer resume as a PDF. MS Word resumes look good on your computer, but they can change in transit. Pro Tip: Double check the job description to see if it says, "No PDFs." Some Applicant Tracking Systems can't read security guard resume PDFs. Still wondering if reverse-chronological is the best security guard resume format? See this guide: "3 Resume Formats: How to Choose the Best One [Examples]"
You wrote the best security officer resume in the bunch. Then the hiring manager didn't read it. That's because you didn't tell him it was great. You need to tell the reader how good your resume is. To do that, use a security guard resume objective or a security officer resume summary. A resume summary proves you have experience. A resume objective shows your passion in the absence of experience. Registered, armed security guard with Guard Card. Seeking to use high-level patrolling and conflict-resolution skills to help Toll Brothers achieve loss prevention mastery. In previous jobs, reduced breaches by 71%, cut safety incidents by 55%, and decreased vandalism by 45%. Armed security guard. Have Guard Card and am registered in WV. Have great patrolling and other security guard skills. Also skilled in safety. See that? The first armed security guard resume sample could be Ethan Hunt. The second? Paul Blart all the way. But the only difference is the measurable details that perfectly highlight your achievements. Now, what if you don't have that kind of experience? With no experience, a resume objective for a security guard can simply state how you can help. It's a short blurb that shows your useful skills and qualities. But let me tell you an important secret. Anyone can get security guard experience for a resume in a day or two. Hardworking, unarmed security officer, seeking to leverage proven interpersonal and conflict resolution skills for Nakatomi Industries. Have provided security in two temp positions and two non-security guard jobs. Received commendations from management, an offer of full-time work, and stopped 17 festival-goer arguments from turning into physical fights. Enthusiastic employee seeking experience in a security guard position. No on-the-job experience yet but I learn very fast. That first resume example looks more like Commissioner Gordon than an entry-level security guard. But how did a noob get that kind of experience for a security officer resume objective? I'll show you in a minute. The key is, you can do it in as little as a day. Do it right, and it can make all the difference in getting you a great security guard job. Pro Tip: In a resume for a security guard, focus your resume objective or resume summary on how you can help. Not on what you hope to get. How much does experience matter on a resume for security guards? If you want a job with low pay, terrible hours, and no benefits, you don't need experience. You just have to pass the mirror test. That's where they hold a mirror in front of your mouth. If it fogs, you're hired. But remember Pete? Our HR manager with the benefits and high pay? He cares deeply about experience in professional security guard resumes. But it's not enough to show it. You've got to prove it too. First, learn the security goals and objectives. You can find them in the job description. They're disguised as security guard duties and responsibilities, skills, and qualities. Read the offer carefully and highlight them all. Next, prove you can deliver. For each job in your experience, list 4-6 bullet points that show how you can help. Patrolled facilities and properties for three different clients. Maintained zero breaches despite an average of four attempts per month. Breaches down 71%. Created daily reports documenting all security activity. Two were used in criminal investigations and contained sufficient details to obtain convictions. Never fired my weapon despite being in five dangerous situations. Consistently used high-level conflict resolution skills to defuse tense interactions. In charge of safety compliance. Set up an employee idea collection program that reduced safety incidents by 55%. Improved vehicle and firearm safety. Acted as an armed security guard. Carried a weapon regularly while on duty. I was in charge of safety compliance. That first armed security guard resume sample proves your skills better than recorded video surveillance. But how about if you don't have experience? Here's how to get security guard experience for a resume. First, look into the crystal ball of your past. With each job you've had, ask, "What are the duties of a security guard that I've performed?" List those in your resume. Second, get a little direct experience. Work a day or two on temp security guard jobs at festivals, concerts, or outdoor events. Big one-off events hire single-day security personnel (or volunteers) by the dozens. Get in touch with large venues in your area. Ask them to add you to the call list for the next event. This same trick works for clubs or bars in busy times. Presto, instant security guard officer resume experience. See the two entry-level security guard resume samples below. In a retail job, secondary duty was loss prevention. Noticed five shoplifting attempts thanks to an eye for detail. Stopped them all without incident by using solid conflict resolution skills. While bartending, frequently doubled as security on busy nights. Maintained excellent interaction with customers. As security guard for Fiddle Fest, defused 17 fights before they could turn physical. Answered phones in temp security job for Alton Security. Was offered full time work. Security Guard Experience: I haven't actually worked as a security guard yet but my goal is to get on-the-job training. That first example shows how to make a security officer resume with no experience. Meanwhile, the second one could be Chief Wiggum. But all it takes is a little head scratching and a few hours of temp work. After all, "bouncer" is just another word for security guard. Writing a security supervisor resume? Use the same process, but list the duties and responsibilities of a security supervisor. Pro Tip: You can also try a job shadow or internship to get experience for a security guard resume. Even a few hours can save you from minimum wage drudgery. Keep the HR manager riveted to your retail security guard resume with action words. Need some? See our guide: "+80 Examples of Resume Action Words for Every Profession"
Most security guard jobs don't require education. You don't need an engineering degree to stop a shoplifter. But even a high school education can help you get the job. You just have to know how to use it on a resume. Then prove your chops in bullet points. Pursued a passion for civics coursework. Avid member of cross country running team. Job shadowed with local private investigator. Even if you're not exactly Sherlock Holmes, you need to use your education to prove you fit the job like Batman's utility belt. Highlight anything related to security guard duties and responsibilities in school. This works even better with a college degree. Pro Tip: Should you put your GPA on a resume for a security guard? Only if it's impressive. Otherwise, show it to the exit. Want your entry-level security guard resume to get attention like a light bar? See our guide: "How to Put Your Education on a Resume [Tips & Examples]"
Let's get back to our HR manager, Pete. He's guarding one of the juiciest security guard jobs out there. He's also gritting his teeth so hard they squeak. Pete is frustrated. Why? In all the security officer resumes he's read, he sees the same thing. A list of skills as long as a baton, but not a shred of proof. You need to prove your professional security guard resume skills. If you do, you'll get a lot more calls. First, look in the security guard job description. Highlight all the skills you see. Second, list those in your resume skills section. Third, prove them in your bullet points. Look at the security guard resume sample below. Let's use an imaginary security guard job description. It values patrolling, interpersonal relations, and speed. Fulfilled all security officer duties in a fast-paced firm. Secured premises and patrolled property. Monitored video surveillance equipment. Decreased vandalism incidence by 45% below previous average. Maintained friendly interpersonal relationships with high profile guests and residents. Received 7 thank you letters from property owners in praise of attitude. Responded to distress calls and service calls. Sustained consistent response times 35% faster than average. Was commended 6 times by management for speed. That's the perfect security officer job description for a resume. You say you've got the skills, but then you prove it better than a verdict in a court of law. The video monitoring skills round out the picture. We'll start off with a list of skills for a security officer resume. Add your own, and find more in job offers online. If you follow the plan above, your professional security guard resume will make you look like Robocop in Rockport Walkers. You can use this trick on a bouncer resume or for tons of other security guard positions. Pro Tip: Don't use every skill in the dictionary in a resume for a security officer. Just list the ones that fit the job, plus any others that impress. Need more advice to write a great skills section in a resume for a security guard? See this guide: "+30 Best Examples of What Skills to Put on a Resume (Proven Tips)"
You just landed a security job with high pay. In the interview, the HR manager said, "I'm glad to see you're certified." But he almost didn't see it. Lucky for you, you showed your certification prominently. Next to your name at the top of your security officer resume. At the beginning of your professional security guard resume summary. In your security guard resume job descriptions. In a special certifications section right under the summary. If you've got a CPP, display it proudly, in big letters. Those take years and lots of work to get. If you don't have one, don't sweat it. Unarmed security officers don't need a CPP. Pro Tip: Don't have a certification? Even if you're applying to types of security guard jobs that don't require it, it can be the one detail that gets you noticed. Want more help putting certifications on a resume for a security guard? See this guide: "How to List Certifications on a Resume: Guide (+20 Examples)"
I'll bet you've never read 300+ security guard resumes. That means you don't know how alike they look. "Skills, experience, hire me." Over and over. Like a two year old asking to watch Paw Patrol. Your security officer resume needs to stand out like a snappy uniform. Help it by adding "other" sections. I'm not talking about "I love Star Wars" kinds of "other." I mean things that show you've got the stuff to wear the uniform. Completed Guard Card Training Class. Wrote an article on video monitoring for SecurityGuardHub.com. Spoke on active shooter response panel at ASIS conference, 2016. Bang. You just went from "yet another resume for a security guard" to John McClane. Each bullet point above proves you can handle security officer resume duties. Pro Tip: Not all jobs need a Guard Card, but they look great on resumes for security guards. You can get one in 1-5 days, depending on your state. Need help writing "other" sections? Want to make your information security guard resume pop like Starsky on a Segway? See our guide: "+20 Best Examples of Hobbies & Interests To Put on a Resume (5 Tips)"
"Security guard cover letters are a waste of time." Said every security guard who doesn't know how to write one. You don't need to be Ernest Hemingway to write a fantastic cover letter for a security officer position. Make your security guard resume cover letter about the most important thing in the world. That means the HR manager. Second, mention a fact you love about the company. You can find it in the job offer or on the company website. Third, list your 1-2 best accomplishments that prove how you can help with company goals. Again, they're in the job offer. Last, add a call to action. That can just be, "I'd love to talk more with you about how I can help." Pro Tip: Follow up. A thank-you note a few days later can give your security officer resume another chance to shine. Want more tips to write the best cover letter for your security guard resume? See our guide: "How To Write A Cover Letter [Complete Guide With Examples]"
I can almost guarantee you're making a mistake. We say "professional" because no one's hiring BillyDarthVaderKiller3369821@yahoo.com as a security guard. But also, add your LinkedIn profile, Twitter handle, and other social media hangouts to your security officer resume. That lets the hiring manager get to know you as a person. 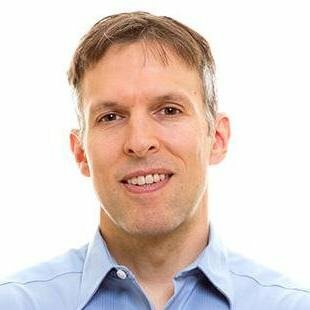 Need to build a LinkedIn profile the right way? See our guide on making LinkedIn profiles for a resume here. Pro Tip: Give your online presence a full pat-down. See this article to make sure your political rant from last November doesn't vandalize your security guard resume. Want more great advice to make a professional resume for a security guard? See this guide: "How to Make a Resume: A Step-by-Step Guide (+30 Examples)"
Lock your security officer resume to the job description like it's handcuffed. Start with the job offer. Highlight all the security guard resume duties and responsibilities in it. Prove your skills in security guard resume bullet points. That means adding job-relevant highlights of qualifications that could land you the security officer job of your dreams. Add attractive "other" sections to prove your depth. Those are often the best part of a resume for a security guard. Once you're done making your resume, write a cover letter It will double your chances of landing that dream job! Do you have questions on how to write a great resume for a security guard? Not sure how to describe your skills or achievements? Give us a shout in the comments! We'll answer as soon as possible.